Legs can hold sand to weigh unit down! 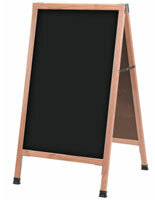 Double sided to display 24"w x 36"h messages at any time! 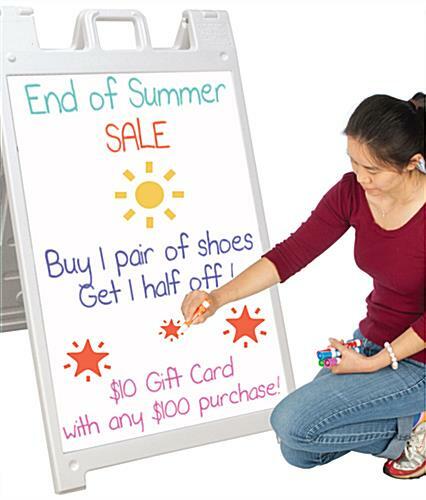 Glossy white plastic writing surface is designed for use with dry or wet-erase markers! 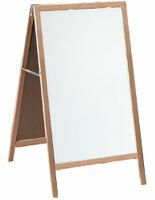 Folds for storage and portability! 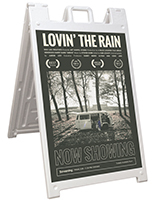 This sidewalk sign was made durable to withstand various weather conditions. 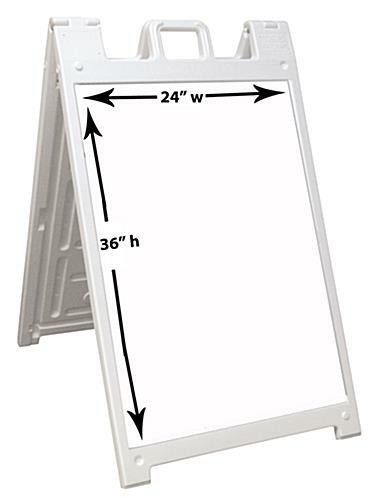 This indoor/outdoor display, often called a message board or portable sign, is double-sided making it ideal for those that need to attract attention from multiple directions. 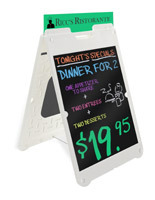 With an easy-to-use write-on surface, this sidewalk sign is made for those that make frequent changes to their messages. They can be updated monthly, weekly, daily, or even hourly! 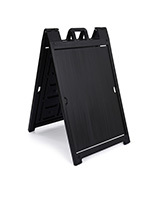 This is a sidewalk sign that does not need tools to assemble. 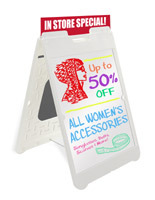 Simple set up means bargains can start being displayed right away! 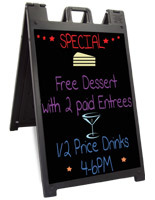 This is a sidewalk sign that was created for promoting specials. There are many other options offered on this site. 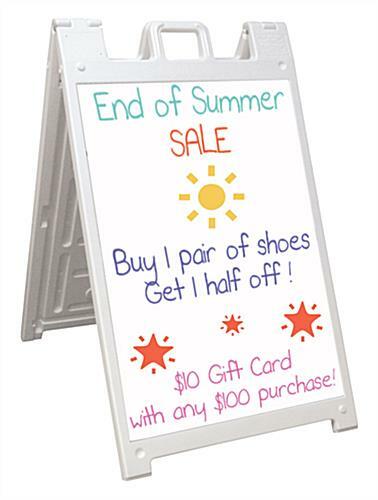 Attract the attention of twice the number of potential customers with these portable sidewalk signs!